Even though our health conditions are highly dependent on the type of food we consume, yet it is just disheartening that we oftentimes pay less attention to what we eat. While some foods are highly nutritious and essential for the healthy functioning of our bodies, others are not. Even though most of these essential healthy foods are quite affordable, yet we sometimes prefer to go for the less nutritious and even expensive ones. But it should always be your point of duty to ensure that you eat nothing but only healthy foods for a healthier you. Having said so, it might interest you to know that one of such essential, highly nutritious but yet under-utilized foods is buckwheat. 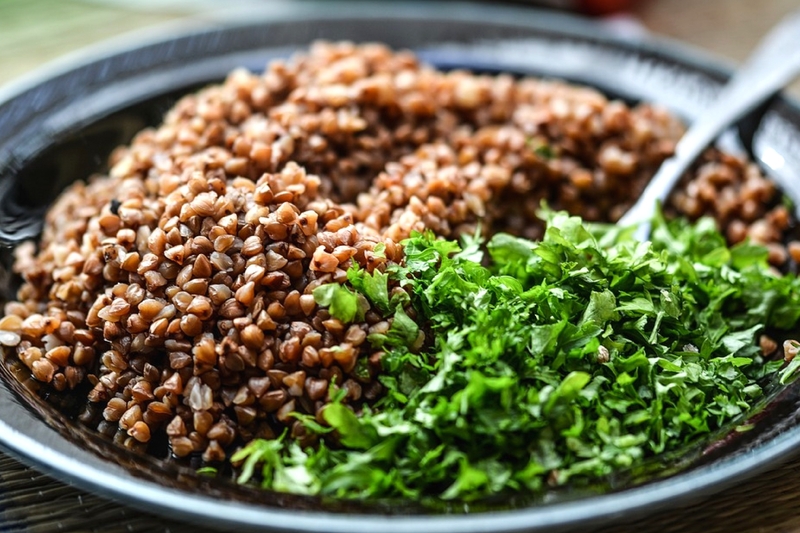 So, if you don't include or you rarely include buckwheat in your diet, then you are seriously missing out on one of the most healthiest food in the universe. The truth is that most people are unaware of this grain-like seed but nevertheless, many others are already tapping into this nature's outstanding gift to humanity. Presently, buckwheat is gaining much attention due to its nutritional, prophylactic and medicinal benefits. 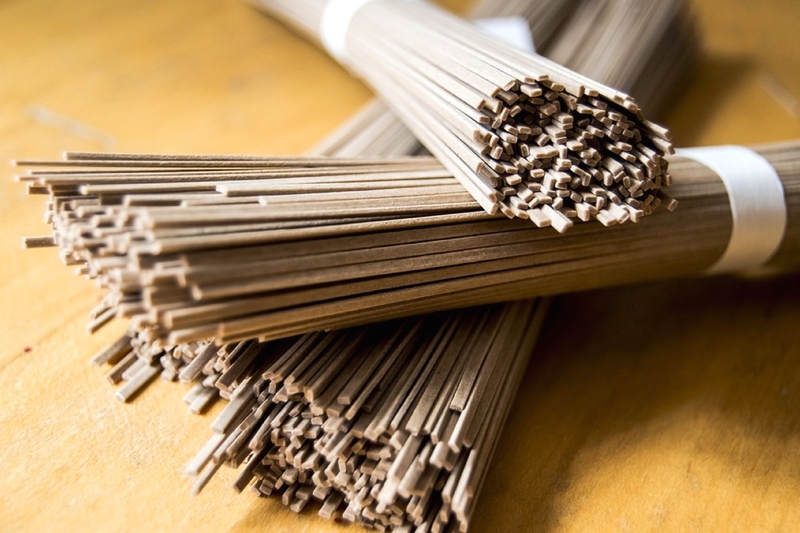 Another good news about buckwheat is that it does not contain gluten, which makes it suitable for individuals suffering from celiac disease or those with gluten allergies. Besides, it is a top food recommended for women with PCOS (polycystic ovary syndrome) due to its high constituent of d-chiro-inositol. D-chiro-inositol (DCI) belongs to the family of related substances that are collectively referred to as inositol. Inositol is believed to have been in existence since the evolution of life. Inositol plays an important role during human reproduction process, treats PCOS, prevents hereditary abnormalities, aids hormonal signalling, treats gestational diabetes, regulates several metabolic pathways and contains anti-cancer properties. So the big question is, what is buckwheat? Buckwheat is botanically known as Fagopyrum esculentum and belongs to the family of Polygonaceae. It is a dicotyledonous plant that is grown mainly for its grain-like seeds. Wijngaard and Arendt (2006) refer to buckwheat as a pseudo-cereal that grows annually. The crop contains protein of high nutritional value, D-chiro-inositol, dietary fibre, rutin, resistant starch, minerals and vitamins. Even though its name suggests it is wheat, yet this crop is not a wheat and not even related to wheat. However, studies reveal that buckwheat is closely related to rhubarb, sorrel and knotweed. Even though buckwheat looks like a cereal, yet it is not a cereal. Rather, buckwheat is a pseudocereal due to its rich constituent of complex carbohydrates. Some buckwheat species include Fagopyrum tataricum (tartary buckwheat) and Fagopyrum esculentum (common buckwheat). Buckwheat thrives better on acidic or low-fertility soils, however, such soils ought to be properly drained. 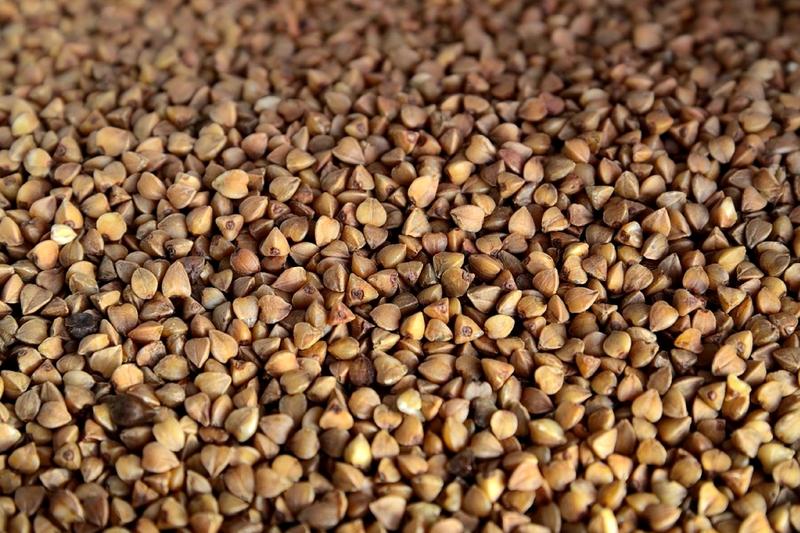 Buckwheat seeds are distinguished by their triangular shapes with a brown coloured outer hull. The plant produces white coloured flowers that can also be yellowish or pinkish. 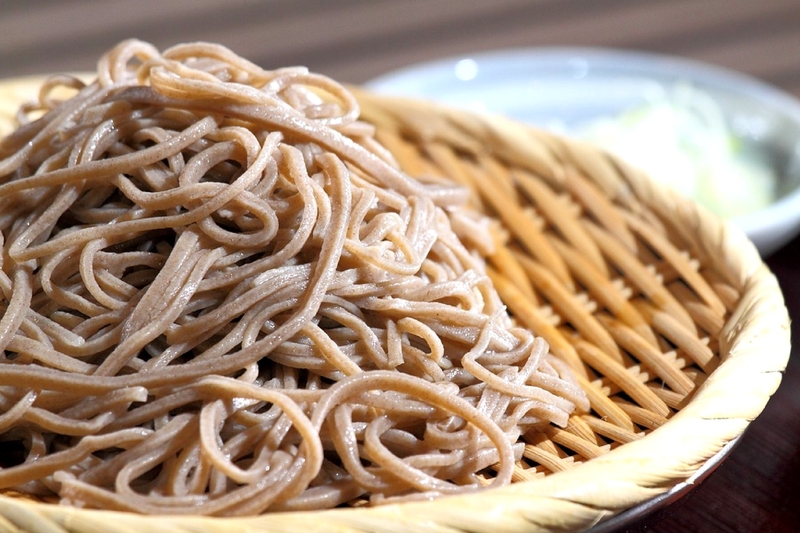 Buckwheat is known by other names such as silverhull buckwheat, beech wheat and Japanese buckwheat. Buckwheat plant usually grows between 75 to 125 centimetres tall. Studies reveal that the buckwheat seeds contain 60 to 100 ppm iron, 71 to 78% starch (in the groats), catechin-7-O-glucoside (in the groats), 20 to 50 ppb selenium, 0.1–2% tannins, 10 to 200 ppm rutin, 20 to 30 ppm zinc, 18% crude protein, high essential amino acids especially tryptophan, lysine, threonine, and the sulphur-containing amino acids. According to Zielinska et al., (2011), C-glucoflavones, rutin and quercetin are the main antioxidants found in buckwheat hull. Buckwheat is also an excellent source of protein, dietary fibre, starch, dietary minerals, polyunsaturated fatty acids (linoleic acid), manganese, carbohydrates, B vitamins, phosphorus, magnesium and niacin. Furthermore, Zhang et al., (2012) reported that the buckwheat proteins found in buckwheat are highly rich in lysine with less amount of proline and glutamic acid. It also contains a high amount of aspartic acid and arginine. Buckwheat seeds can be cooked and eaten alone or can be used for preparing buckwheat porridge, salads, buckwheat casseroles and soups. The seeds can be used for producing buckwheat whisky, malt, buckwheat beer, buckwheat shōchū (そば焼酎 sobajōchū? ), buckwheat farinetta and buckwheat flour (kuttu flour). 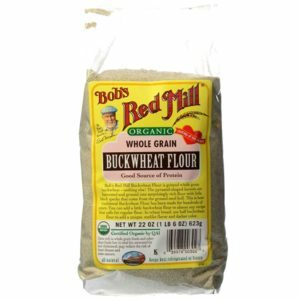 Buckwheat flour (kuttu) can be used for making buckwheat pizza, buckwheat bread, buckwheat noodles, buckwheat spaghetti, buckwheat pasta, kasha, kuttu ke pakore, breton galette (buckwheat flour crepe), soba noodles, buckwheat pancakes (kuttu ki puri), groats, kuttu pakoras (slices of potatoes tossed in buckwheat flour and deep-fried in hot oil) and buckwheat blinis. Due to its high nutritional components, buckwheat can also be used for blending buckwheat tea. 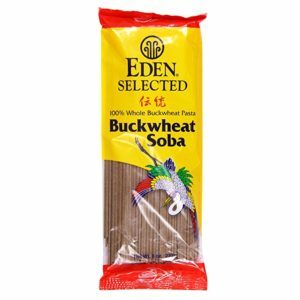 Two major types of buckwheat tea are soba-cha tea prepared by infusing roasted buckwheat hulls or kernels in hot water and herbal infused buckwheat tea prepared by steeping buckwheat leaves in hot water. Buckwheat tea can be consumed regularly to improve blood circulation, prevent varicose veins and to support the cardiovascular system. It is worthy to note that the buckwheat tea shouldn’t be consumed excessively in other to prevent phototoxicity (a condition whereby the skin is susceptible to damage upon exposure to light and blisters. Using animal models, Christa and Soral-Smietana (2008) demonstrated that buckwheat flour is effective for controlling diabetes, obesity, hypercholesterolemia and hypertension. Furthermore, buckwheat can alter cholesterol metabolism as well as significantly reduce the levels of cholesterol in serum, liver, and gallbladder thereby inhibiting the formation of gallstones. Giménez-Bastida and Zieliński (2015) reported that buckwheat reduces plasma cholesterol level, offers neuroprotection, prevents constipation and improves hypertension conditions. Buckwheat also contains anti-inflammatory, anti-obesity, antidiabetic, antioxidant, anticancer and prebiotic properties. Both animal and in vitro studies of buckwheat demonstrate that buckwheat bioactive compounds, such as d-chiro-inositol (DCI), flavonoids (quercetin and rutin) and buckwheat proteins are key to its amazing health benefits. Buckwheat plant supports the ecosystem by aerating the atmosphere, preventing erosion and adding nutrients to the soil. Both the seeds and leaves of buckwheat can serve as animal feed. The durable buckwheat hulls can be used for filling up upholstery products such as chairs, tables, foams, beds etc. 1]. Christa, K. and Soral-Smietana, M. (2008), Buckwheat Grains and Buckwheat Products – Nutritional and Prophylactic Value of their Components – a Review, Czech Journal of Food Science, Vol. 26, No. 3: pp.153–162. 2]. Giménez-Bastida, J. A. and Zieliński, H. (2015), Buckwheat as a Functional Food and Its Effects on Health, Journal of Agricultural and Food Chemistry, 63 (36), pp 7896–7913. 4]. Zhang, Z., Zhou, M., Tang, Y., Li, F., Tang, Y., Shao, J., Xue, W. and Wu, Y. (2012), Bioactive compounds in functional buckwheat food, Food Research International, 49, pp. 389–395. 5]. Zielinska, D., Szawara-Nowak, D. and Zielinski, H. (2011), Antioxidative and Anti-Glycation Activity of Buckwheat Hull Tea Infusion, Journal International Journal of Food Properties Volume 16, Issue 1.